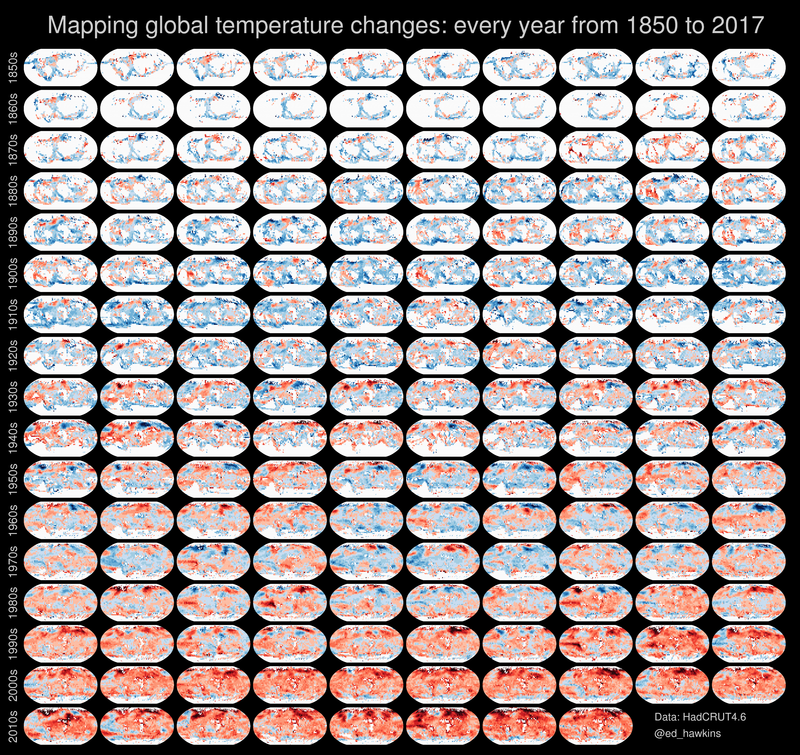 Ed Hawkins, a climate scientist at the University of Reading, is responsible for the latest visual. [CLICK HERE to view a large version of the above image.] You may remember him from the temperature spiral that went viral earlier this year. Turns out he’s still turning out compelling graphics to show the impact humans are having on the place we call home. Taken together, these images tell a bigger story. (Tweet this) They chronicle the history of a planet that’s become warmer and warmer as humans have filled the atmosphere with carbon pollution.